CARAVAN and camping enthusiasts went on a spending spree at Brisbane's Pre-Christmas Caravan and Camping Sale. Organised by Caravanning Queensland, the event drew record crowds with more than 16,000 people flowing through the gates and spending more than $30 million. This was an increase of nearly seven percent on previous years, the state's peak industry body reported. A hundred exhibitors showcased a whole range of products, including everything from $900 entry-level tents to $300,000 motorhomes. 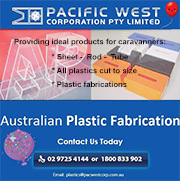 Caravanning Queensland general manager Jason Plant said having the sheer variety of products on offer contributed to the most successful event in years. "With more than 300 recreational vehicles and thousands of accessories sold, there was a wide mix of purchasers across all age groups, showing just how popular and diverse the caravanning and camping lifestyle is in Queensland," he said. "While caravan, camper trailer, motorhome and other recreational vehicle purchases were some of the best many exhibitors have ever seen at the event, accessories and equipment exhibitors also had a very successful sale." Coastline RV general manager Ben Menzies agreed this year's sale was a highlight for the numbers of equipment and accessory sold compared to previous years. 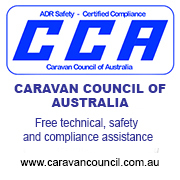 "This year we saw a real spike in interest and sales of safety equipment and accessories, including reversing cameras, tyre pressure monitors and GPS trackers and monitors for caravans and motorhomes," he said. 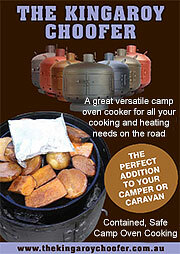 "This showed that caravanners are taking a keen interest in their safety on and off the roads. "Over the course of the event we also found many customers were looking to purchase the likes of generators for upcoming trips. "Some had bought new vehicles at the sale and were looking to add to their accessories and others were looking to upgrade existing caravans or motorhomes with the creature comforts of televisions or air-conditioning." 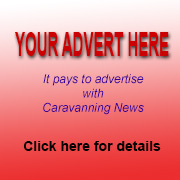 Mr Plant said more people than ever before were cashing in their resort-style holidays for caravanning and camping due to its affordability and the traditional qualities offered to families. "Thanks to this year's event, more couples and families than ever before will be able to spend Christmas by the beach or the bush in their brand-new caravan or camper trailer," he added.